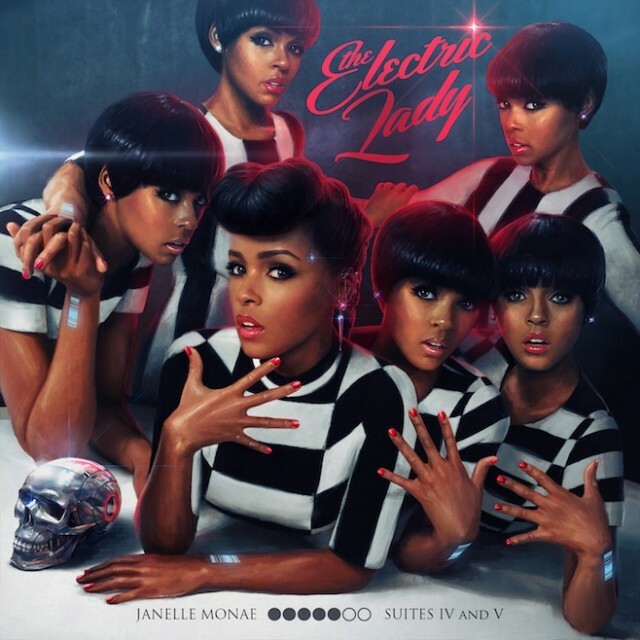 "What an experience", Monáe sings on the final track of her second album, 'The Electric Lady'. She couldn't be more right. This is the follow-up to her 2010 concept album 'The ArchAndroid'. Where her debut was a crazy and varied mix of genres, 'The Electric Lady' is a more focussed and concise album whilst maintaining the same electrifying musical style that's just as fresh and unpredictable. Soulful and ever-characterful vocals collide with funk basslines, hip-hop beats, R&B grooves and electronic sparkles - from sassy recent single Q.U.E.E.N and the bubbling Dance Apocalyptic, to the sultry R&B jam Primetime and final track What An Experience. Monáe takes an old school vibe and turns it into something futuristic and unique. 'The Electric Lady' remains a high-concept album, however. As with 'The ArchAndroid', the follow-up continues the exploits of her droid alter-ego Cindy Mayweather. The main album tracks are broken up with radio skits and divided into two 'suites' with overtures that totally sum up her musical style. Yet there's a newfound honesty to 'The Electric Lady' as it becomes increasingly clear that Mayweather is a metaphor for her sexuality. "Robot love is queer", shouts one 'listener' on one of the radio skits, a notion that is quickly shot down by the presenter. Monáe no longer hides behind a concept, but uses it to explore her personality in a more open manner. As she sings on Q.U.E.E.N, “Even if it makes others uncomfortable, I wanna love who I am” - lyrically this is as carefree and jubilant as the production. Despite the critical success of her debut, Monáe remains a commercially under-performing artist, which is quite frankly criminal. Will 'The Electric Lady' finally see her hit the mainstream? There are some clever collaborations here, most notably with Prince (Givin Em What They Love), Solange (Electric Lady) and R&B star of the moment Miguel (Primetime). Most of all, though, there is simply not a bad song in earshot - each one brimming with exciting, funky music with serious lyrical content. The concept might be difficult for some to look past, but you'd be hard-pressed to find a more creative album released this year. Monáe has proven once again why she's one of the most unique artists of our time with an album that deserves both critical and commercial success. Listen: 'The Electric Lady' is available now.